Rental Car Quick Turn-Around (QTA) facilities are an innovative building type, with only about dozen in the country. 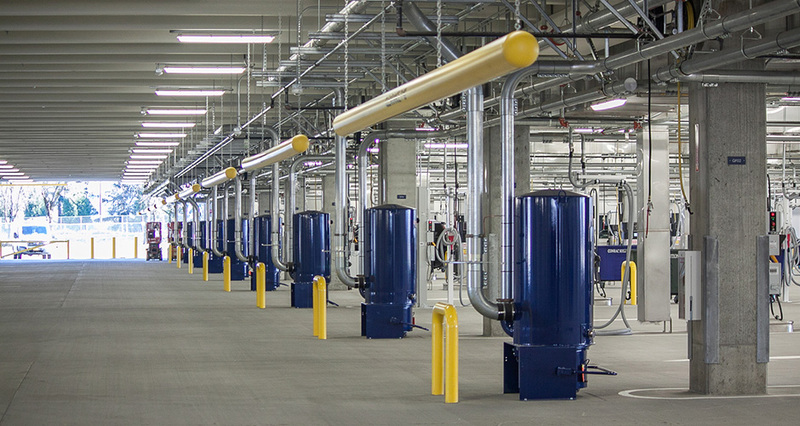 A successful QTA facility efficiently and safely fuels and cleans rental cars to meet the current demands of airport customers, while being able to accommodate future growth. They are logistically complicated projects that require an in-depth understanding of traffic flow, operational function, airport safety protocol, and fueling. 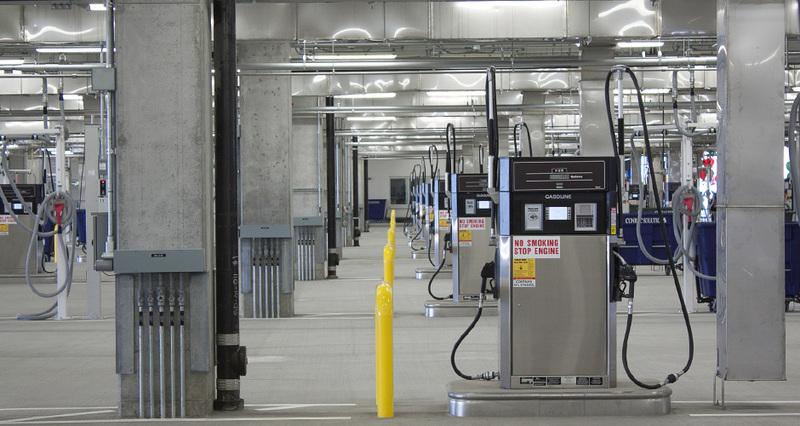 The 316,000 SF facility can clean and fuel up to 430 cars per hour, 76 fueling stations, and 16 car wash bays. 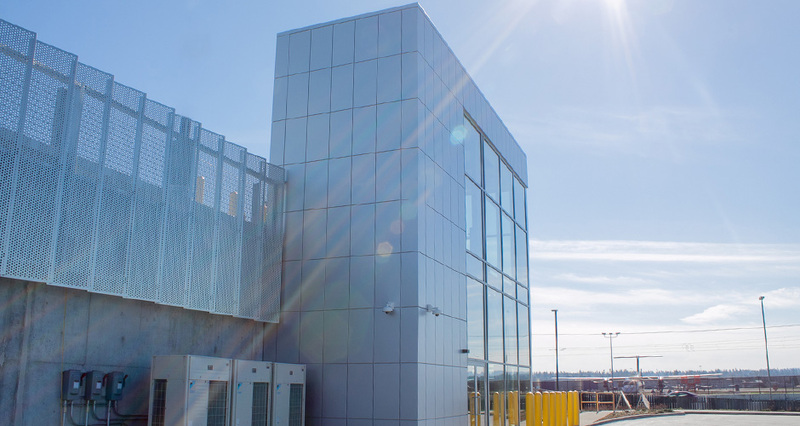 The project is targeting an ENVISION Gold Award for sustainable infrastructure, and includes a system to reclaim and reuse car wash water, and harvest more than two million gallons of rainwater annually, allowing the QTA’s car washes to run independent of city water. 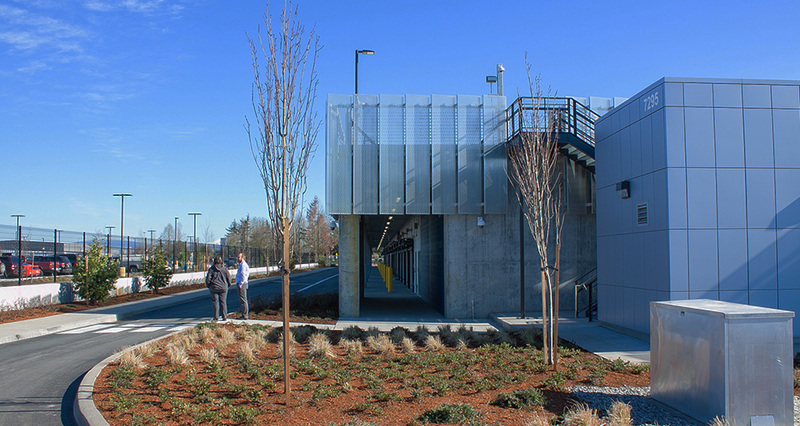 Mackenzie also provided extensive landscape architecture services, including the design of berms that provide visual screening of the facility’s security walls, fueling activities, and truck delivery access points. 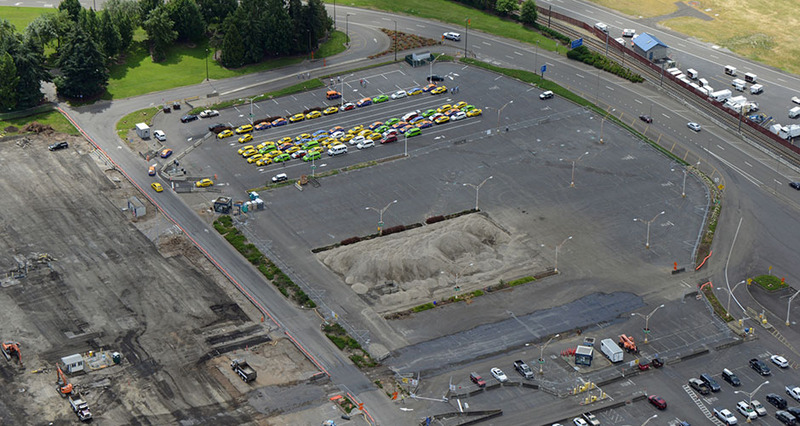 Local building codes didn’t anticipate the facility’s use, so the project team made a coordinated effort to negotiate the code—which only allowed four fueling stations—with the City of Portland’s building department and fire marshal. Mackenzie’s design provided enhanced safety features beyond the code minimum, and the project was approved by the City on the first appeal. A second challenge in the project process was the location of a de-icing line. Careful planning allowed the design team to shift the building’s placement five feet, allowing the current de-icing line operation to remain unmoved. This strategic adjustment saved about one and a half million dollars in construction costs.